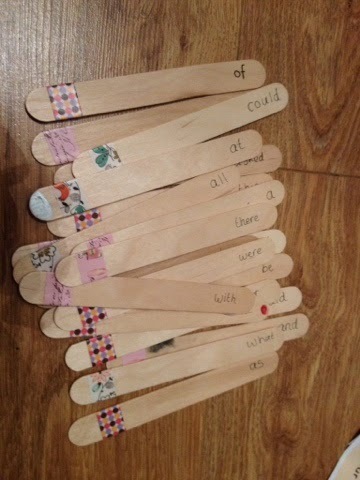 On each stick I wrote a sight word. On 1 stick was a red dot and sight word. The aim of the game is to pick up the sticks at random, read the word, if you can read it you keep the stick if not it goes back. You keep playing like this until someone takes out the word with the red dot. The game then stops and the person with the most sticks wins. 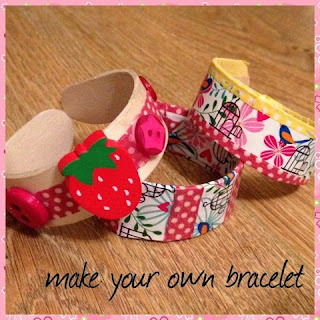 Today your 30 minute craft is making a bracelet. 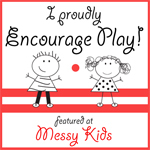 This activity takes 30 minutes to complete but will need some planning prior to the activity. 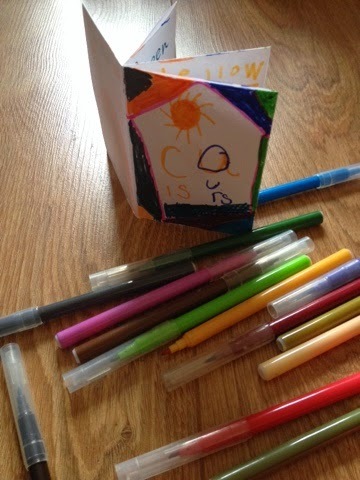 All you need is lollipop sticks, small cups and papers to decorate afterwards. To start with the lollipop sticks require to be soaked over night prior to you creating the bracelet. 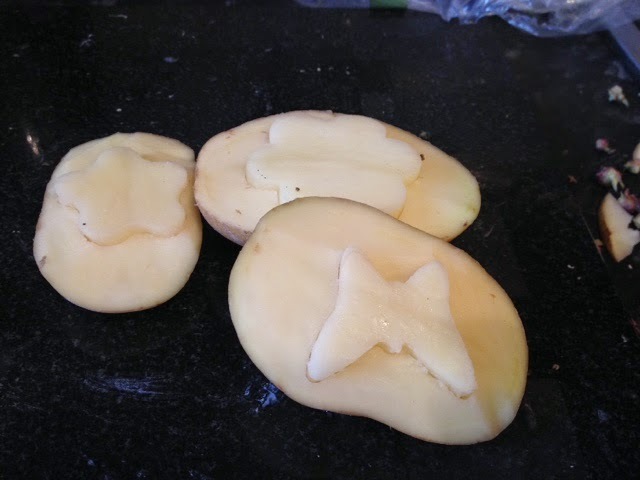 After the have soaked they can then be easily manipulated into shape. I placed ours in Little Boos tea cup set cups. I then left these over night to set into the correct shape. When dry all was left was for us to decorate them. 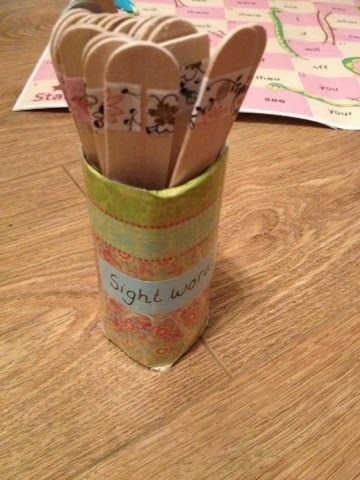 We used washi tape to decorate ours however you could use interesting upcycled papers or stickers. I hope that you enjoy this idea. I hope you have been checking facebook as well for all the 30 min craft ideas this month. 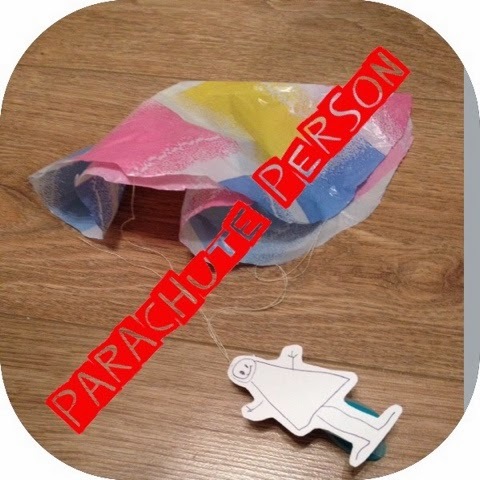 Today we have made a parachute person. 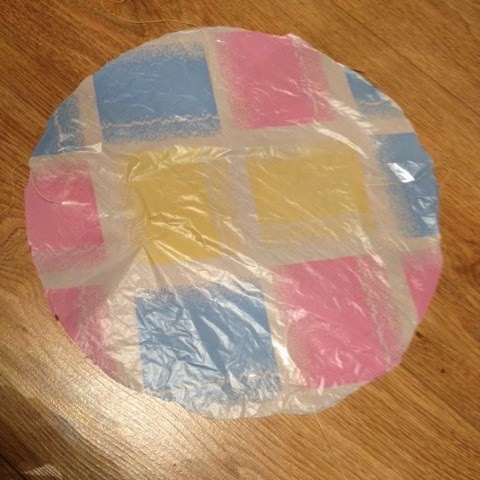 All you need is a plastic bag, cello tape, card, cotton and a peg. And add some string in four places equally around the circle. Pull all these strings together and knot them. 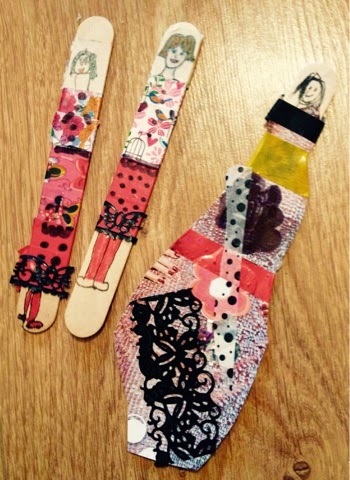 Add a peg to the string where the knot is, then pop on a drawing of a person. 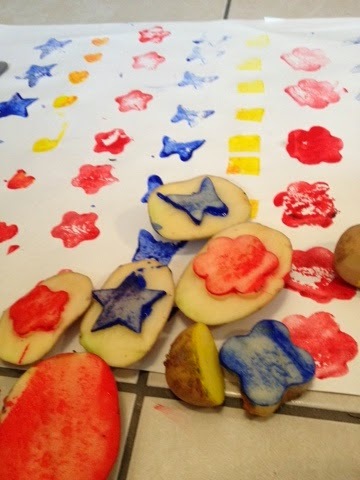 Today's 30 min craft was potato printing :) All you need is potatoes, paint and paper. 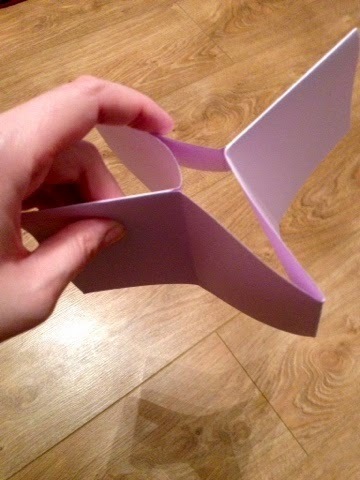 As an additional extra you can use cutters to make more interesting shapes. 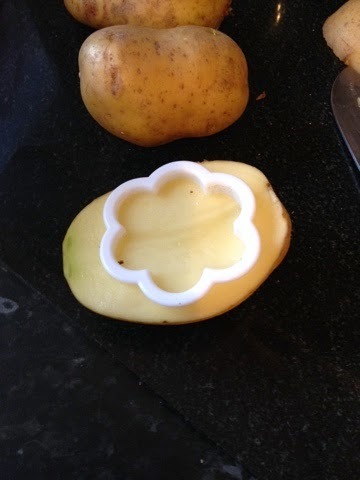 If you have not got cutters to hand just cut the potatoes yourself. If you are using cutters push them in then use the knife to cut around the outside of the cutter then lift off. This is going to be great to use as wrapping paper! 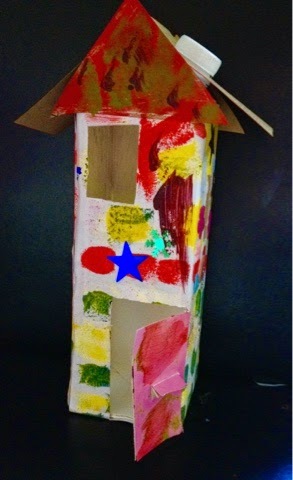 Today's 30 minute craft, a little house made from upcycled drink carton. 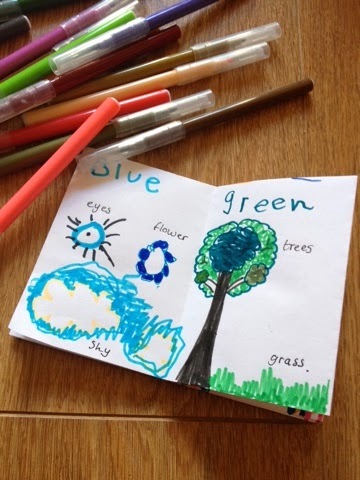 All you need is a carton, piece of paper, felts and glue. To make the process quicker and easier we did not paint the carton but a piece of paper then stuck this around. I then cut out the windows with a craft knife (obviously an adult job). Then little boo decorated it. Hope you enjoy this. 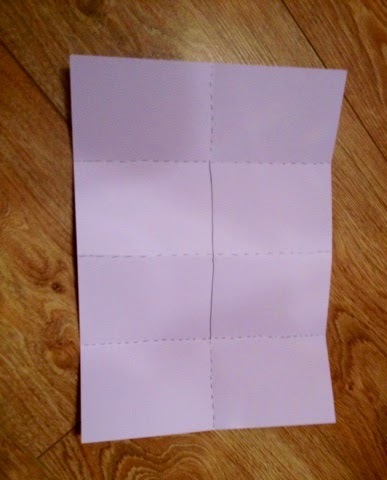 Cut along where the solid line is fold where dotted line is. Hope you enjoy today's 30 min craft! This is also a great idea to do at a restaurant when the kids have to wait.